Found 9 file extension associations related to Hydrogen and 2 file formats developed specifically for use with Hydrogen. 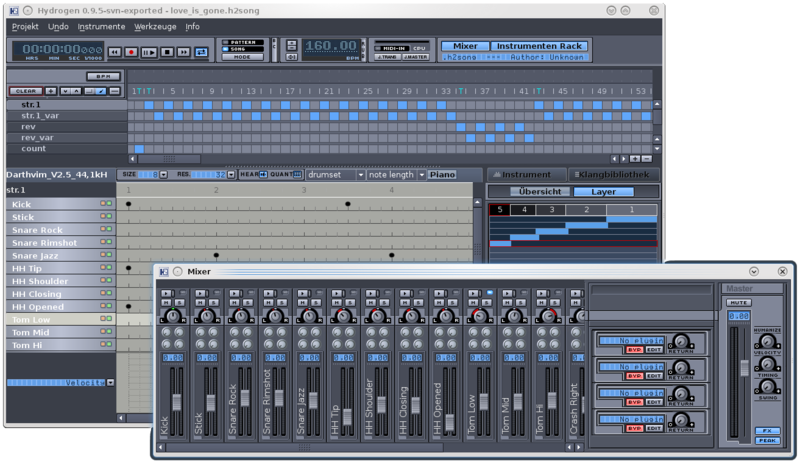 Hydrogen is a software synthesizer which can be used alone, emulating a drum machine based on patterns, or via an external MIDI keyboard/sequencer software. Hydrogen compiles on Linux/x86 and Mac OS X, although the latter is still experimental, so ask in the developers mailing list for further details. If you need more information please contact the developers of Hydrogen (Hydrogen Team), or check out their product website.